Our mantra at Eco Relics is Reuse, Recycle, Repurpose. 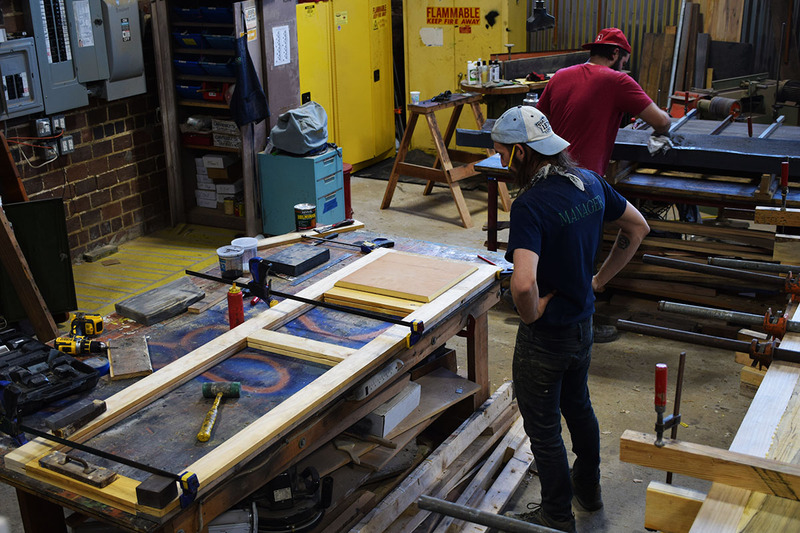 It’s at the core of our ‘Green Ethos’ wherein we are committed to reducing waste, repurposing supplies, and providing reclaimed and discount building materials to our community. 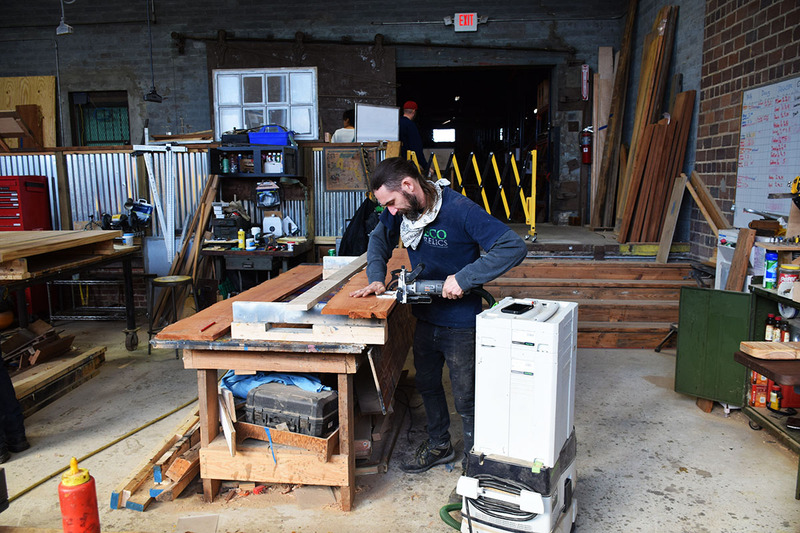 There is one area of our operation where that sentiment is passionately adhered to, and that’s in our Custom Wood Shop, and there’s one crew member that shows this passion in everything he builds, that’s Billy Leeka. 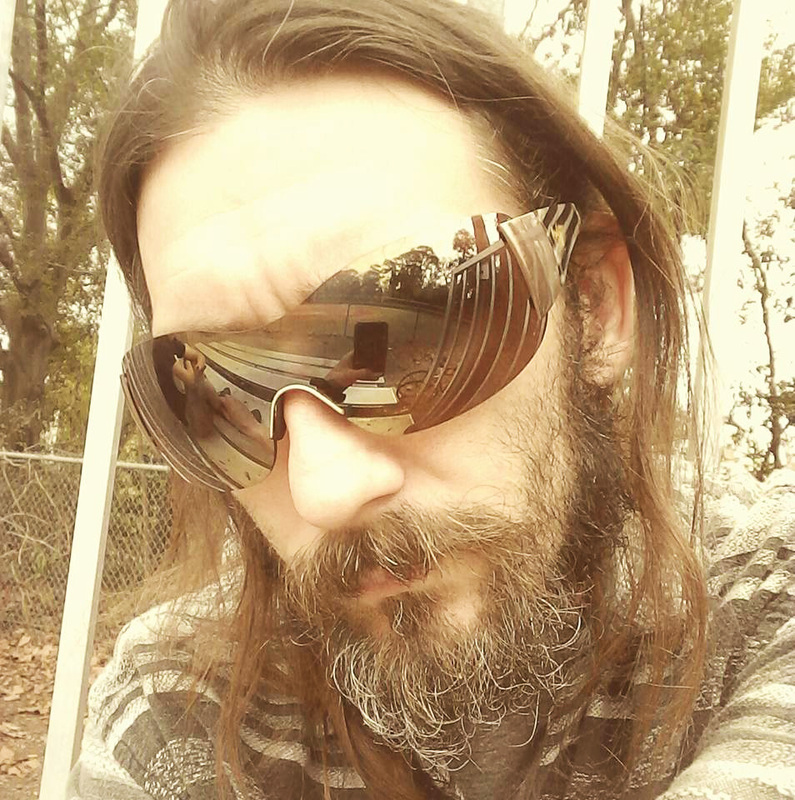 Say hello to our Wood Shop Manager, Billy Leeka. Billy came to Eco Relics shortly after we opened for business in 2014, and has worked his way up to the position of Shop Manager. Over the last couple of years he has built creative pieces for literally hundreds of very satisfied clients. Some have labeled our shop guys as “fabricators” or “master craftsmen” which certainly applies, but with Billy it’s much more of an artistic expression than anything else. Billy prepares the Aromatic Cedar and Maple pieces to be joined with dominoes. It all started back in high school at Frank H. Peterson Academies for Technology. He studied the carpentry trade and mastered it. He served as the VICA president for the school and won VICA’s National Championship for carpentry two years in a row. He also has experience in building scenic environments for restaurants, hotels, casinos, and theme parks. Some of his work can be seen in Jimmy Buffet’s Margaritaville and The Mohegan Sun Casino. 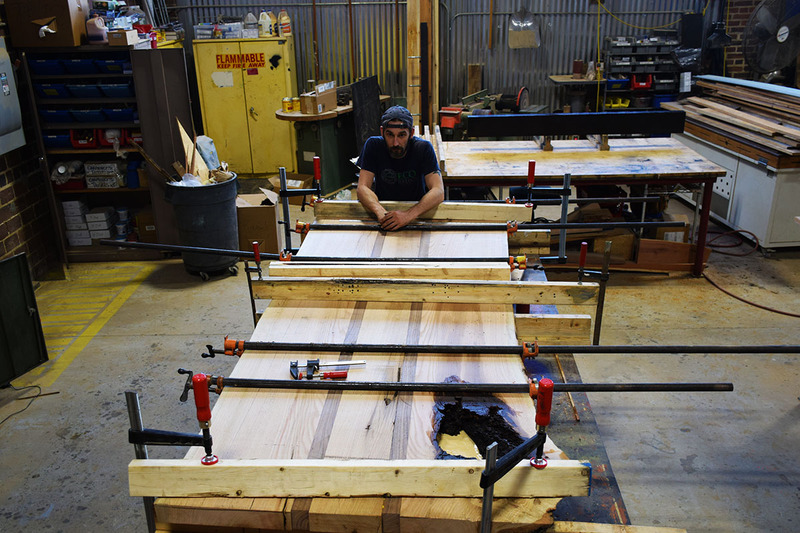 Billy at his Bench, building this massive live edge table top. Upon returning to Jacksonville, after living and working for years in central Florida, his third child was born and Billy became a stay-at-home dad. While spending this time with his children, he learned the importance of the environment and decided to do his part to make the world greener for his children. During this time he painted and built furniture, as well as doing various side jobs. Shortly after Eco Relics opened in 2014, Billy learned about our mission and knew he belonged here. 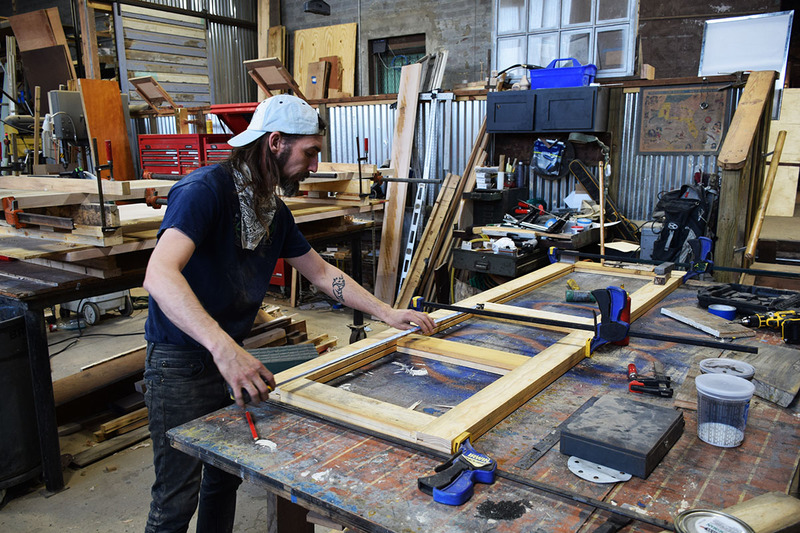 Now he gets to combine his work values, love, and creativity with his work expertise by creating something new and beautiful out of something old while keeping architectural salvage and other building materials out of our over burdened landfills. Billy would be the first to tell you “measure twice, cut once”! Billy loves to create anything from artwork to furniture using whatever materials he can find. He also loves to do his part for the environment. 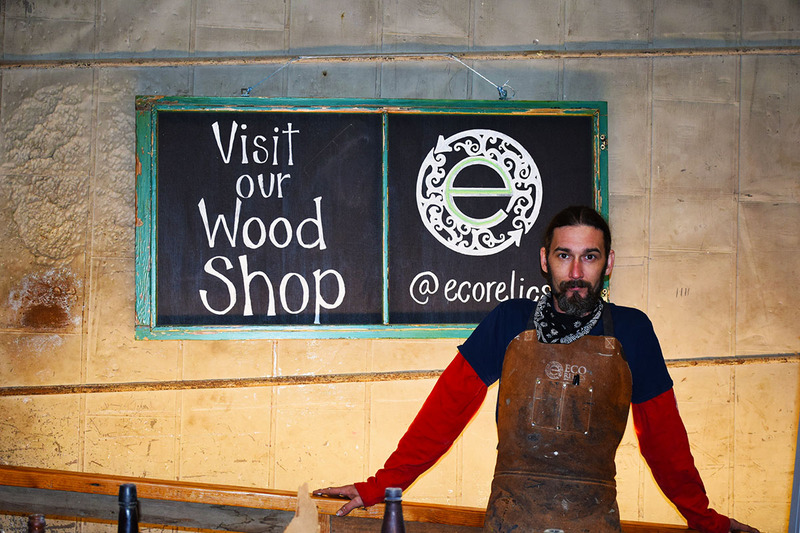 At Eco Relics it’s a win-win. He gets to combine his creativity with his carpentry skills to build awesomely unique furniture. Sometimes you have to step back and contemplate your next move. We truly couldn’t do what we do without the dedication of our team, and Billy is an integral member of our team, and our family. With his unmatched skills, his personality, whit and wisdom, our Wood Shop wouldn’t be what it is without him. He is truly a friend to us all. 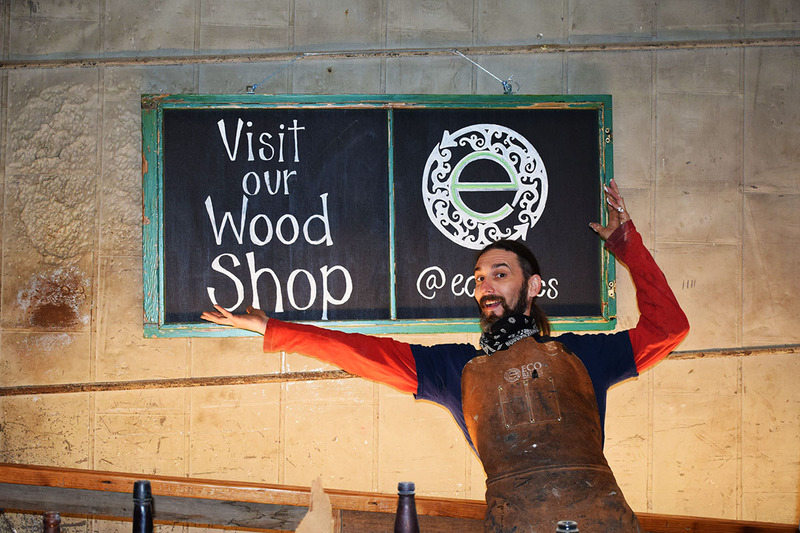 An open invitation to come visit Billy in our Custom Wood Shop! If you’ve got some spare time, we invite you to stop by our Wood Shop and say Hi to Billy, I’m sure he’d be happy to see you. *Thanks to Rebecca for her input on this; You’ve got a keeper!